From Too Faced: Get the staying power of a stain, the intense color of a liquid lipstick and the high shine of a gloss in one long-wear formula. Using exclusive technology to keep cauldrons of molten lipsticks liquid and creamy, Melted Liquified Long Wear Lipstick comfortably coats lips in bursts of intense, high-impact, super rich, saturated color that lasts for hours. I have the shades Melted Marshmallow and Melted Fig. These liquid lipsticks come in a tube with a fuzzy slanted tip and from what I can tell the color comes out of 4 tiny holes in the tip. 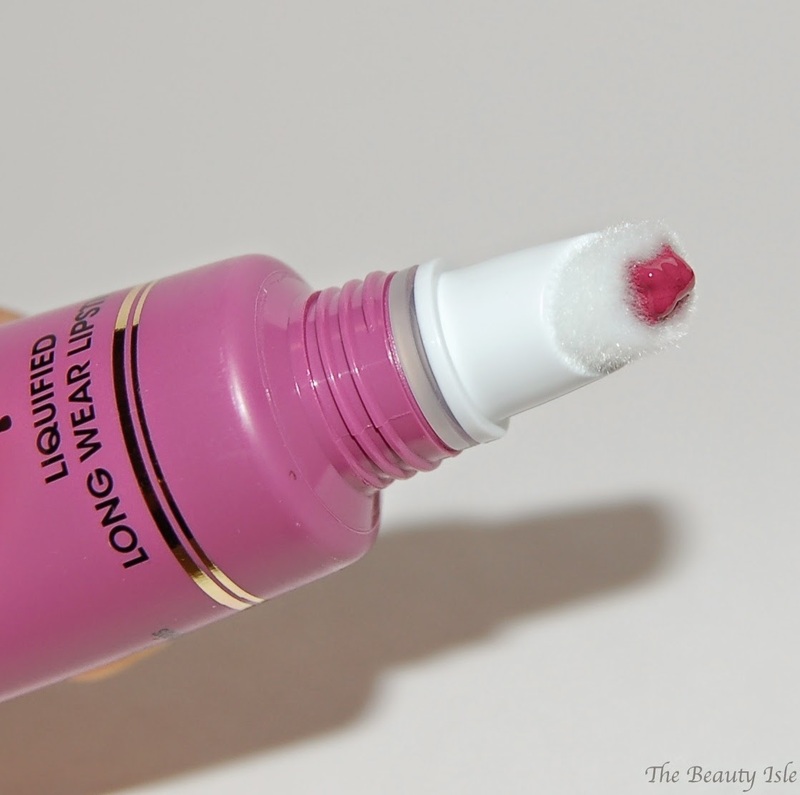 After the first few times you apply this lipstick the tip area gets pretty messy, I just wipe it with a tissue after. 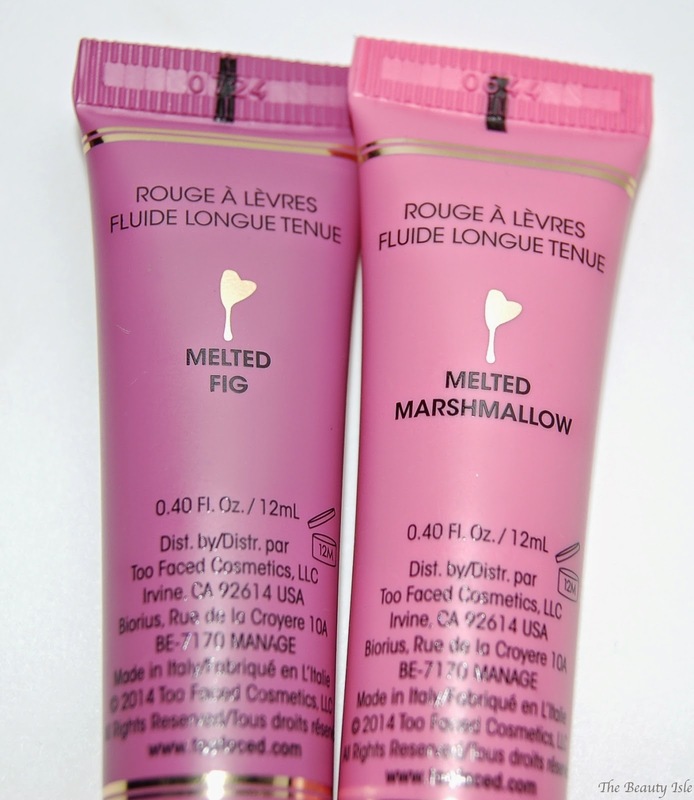 Melted Marshmallow is a baby pink and Melted Fig is a violet/mauve shade. These lippies feels so soft and creamy going on, and the pigmentation...wow! One swipe is all you need for intense color. The color goes on really vibrant and shiny and after some time the shine does fade but the color stays and becomes a nice matte stain on the lips. I absolutely LOVE Melted Fig! 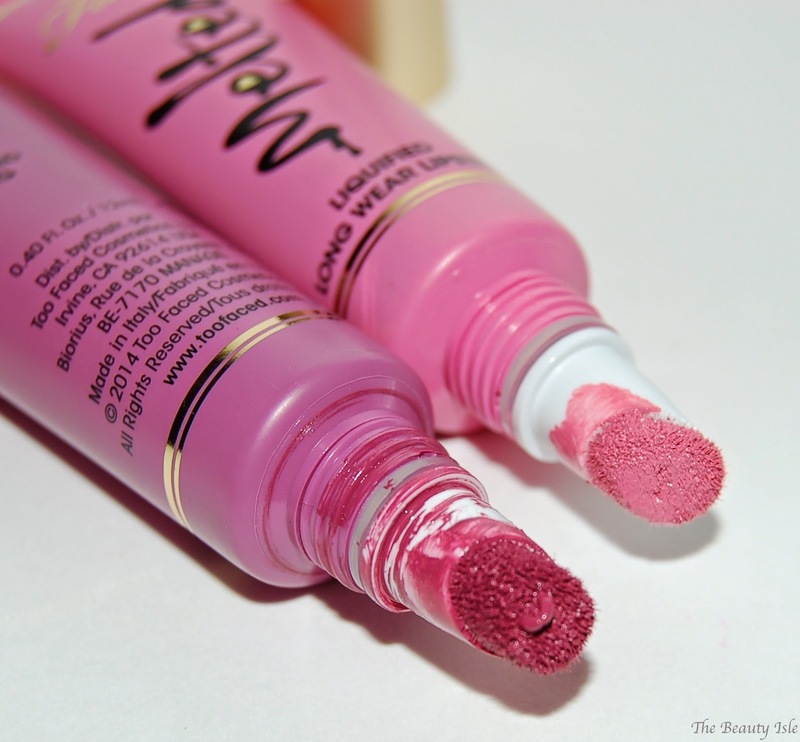 The color really goes well with my coloring and it just looks really creamy on my lips and lasts several hours on me. Unfortunately, Melted Marshmallow doesn't work with my skin tone. This shade would look really pretty on people who's skin is a bit lighter than mine. 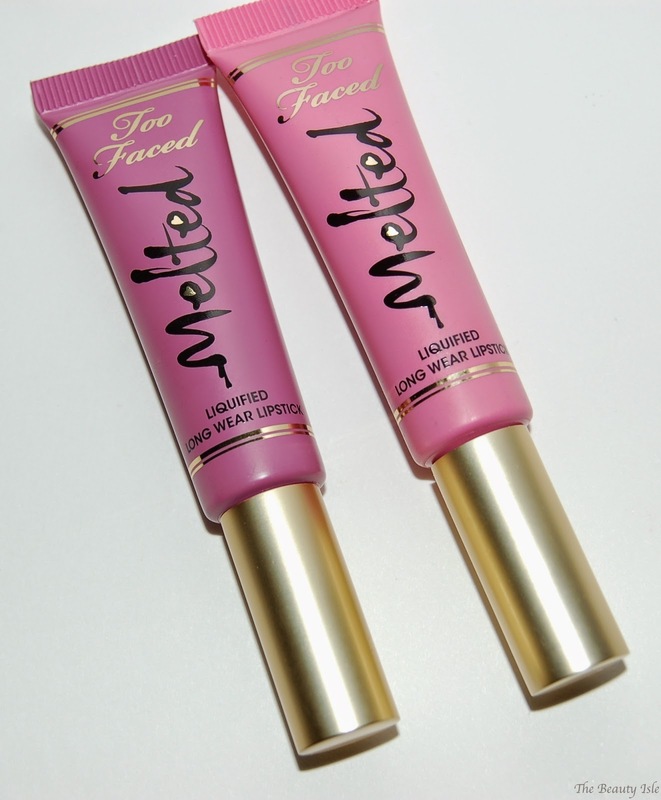 The Too Faced Melted Liquefied Long Wear Lipsticks retail for $21 and can be found on the Too Faced website, Sephora, and Ulta. 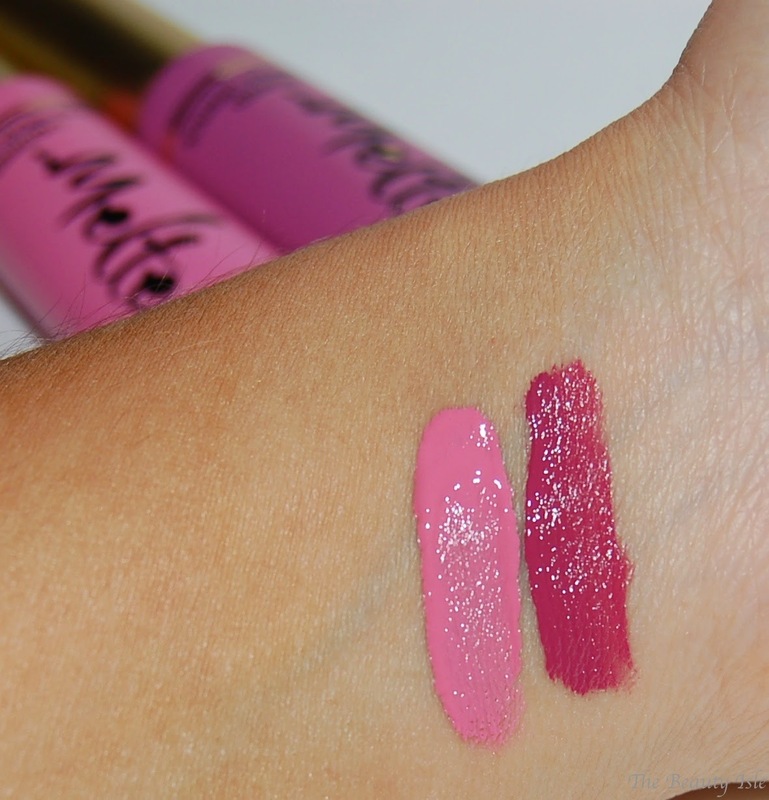 Do you own any of these Melted Lipsticks? What's your favorite shade? I definitely want a few more! 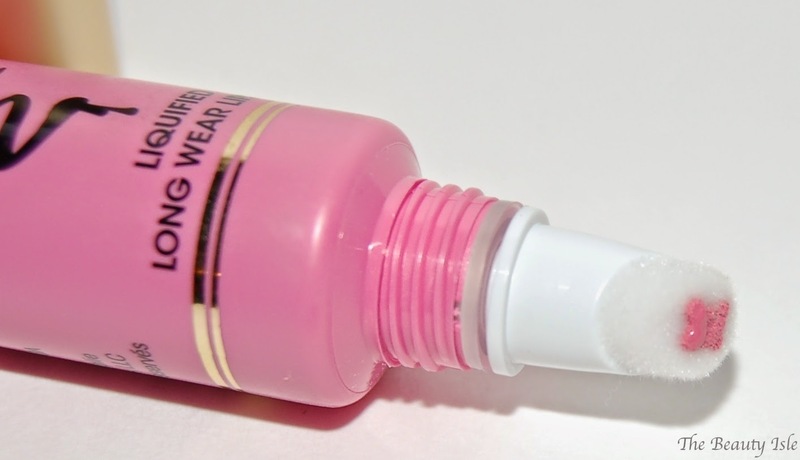 Disclaimer: I received the Melted Marshmallow shade for review, however all statements are 100% honest and my own.